Sudan had been one of the largest countries in Africa. As Sudan prepared to gain independence from joint British and Egyptian rule in 1956, southern leaders accused the new authorities in Khartoum of backing out of promises to create a federal system, and of trying to impose an Islamic and Arabic identity. In 1955, southern army officers mutinied, sparking off a civil war between the south, led by the Anya Nya guerrilla movement, and the Sudanese government. The conflict only ended when the Addis Ababa peace agreement of 1972 accorded the South a measure of autonomy. Over 1.5 million South Sudanese were killed or died from war related causes. But, in 1983, the South, led by the Sudan People’s Liberation Movement (SPLM) and its armed wing, the Sudan People’s Liberation Army (SPLA), again rose in rebellion when the Sudanese government cancelled the autonomy arrangements. Over 3.5 million people lost their lives from war and war related causes and more than four million were displaced in the ensuing 22 years of guerrilla warfare. Large numbers of South Sudanese fled the fighting, either to the North (not by choice) or to neighboring countries, Europe, United States, Canada and Australia, where many remained today. The good news is on January 9th, 2005, a Comprehensive Peace Agreement (CPA) was signed in Kenya after 21 years of turmoil between South Sudanese and Northern Sudanese. The CPA ended Africa’s longest-running civil war. 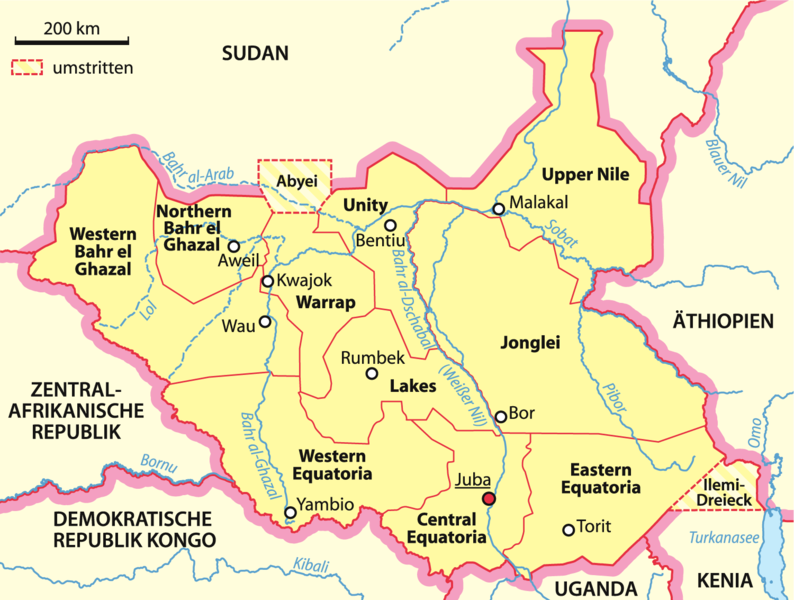 On July 9, 2011 South Sudan gained independence from Sudan. 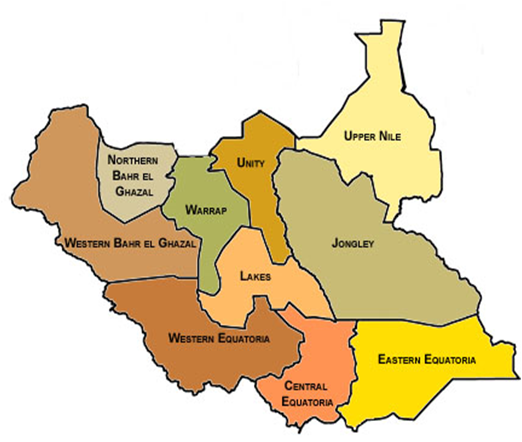 Formed from the 10 southern-most states of Sudan, South Sudan is a land of expansive grassland, swamps and tropical rain forest straddling both banks of the White Nile. Unlike the predominantly Muslim population of Sudan, the South Sudanese follow traditional religions, while minorities are Christians. 1978 – Oil discovered southern Sudan. Economy – overview: Industry and infrastructure in South Sudan are severely underdeveloped and poverty is widespread, following several decades of civil war. Subsistence agriculture provides a living for the vast majority of the population. Property rights are tentative and price signals are missing because markets are not well organized. South Sudan has little infrastructure – just 60 km of paved roads. Electricity is produced mostly by costly diesel generators and running water is scarce. South Sudan depends largely on imports of goods, services, and capital from the north. Despite these disadvantages, South Sudan does have abundant natural resources. South Sudan produces nearly three-fourths of the former Sudan’s total oil output of nearly a half million barrels per day. The government of South Sudan derives nearly 98% of its budget revenues from oil. South Sudan also holds one of the richest agricultural areas in Africa in the White Nile valley, which has very fertile soils and more-than-adequate water supplies. Currently the region supports 10-20 million head of cattle. South Sudan also contains large wildlife herds. And the White Nile has sufficient flow to generate large quantities of hydroelectricity. Our new logo was designed and developed by Tony Asta and Gary Brown. It was based on the incorporating the colors of the Republic of South Sudan flag and the hope for a prosperous and promising future for the men, women and children of South Sudan. The colors of the flag are to represent the South Sudanese people (black), peace, (white), the blood shed for freedom (red), the land (green), and the waters of the Nile (blue). The yellow sun represents the star in the flag. The star represents unity of the states of South Sudan.